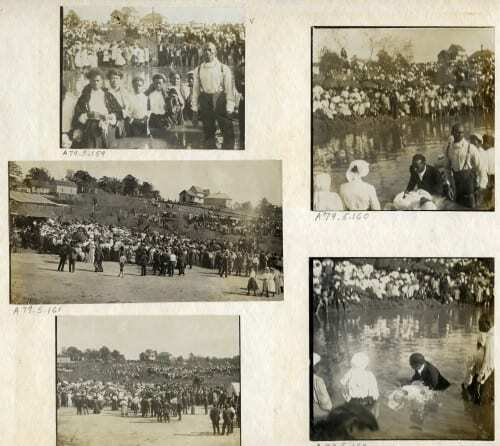 African-American men and women at a Dallas baptism, 1908. Courtesy Dallas Historical Society. Used by permission. The body of water is most likely the Trinity River, but the denomination and participants are unknown. “Max Beck post card colored baptizing 1908.” Courtesy Dallas Historical Society. Used by permission. Accession numbers A79.5.150/151/153.